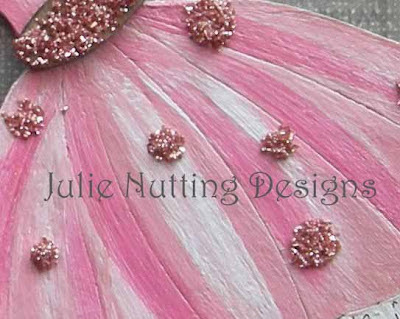 Julie Nutting Designs: You Can Glitter It! 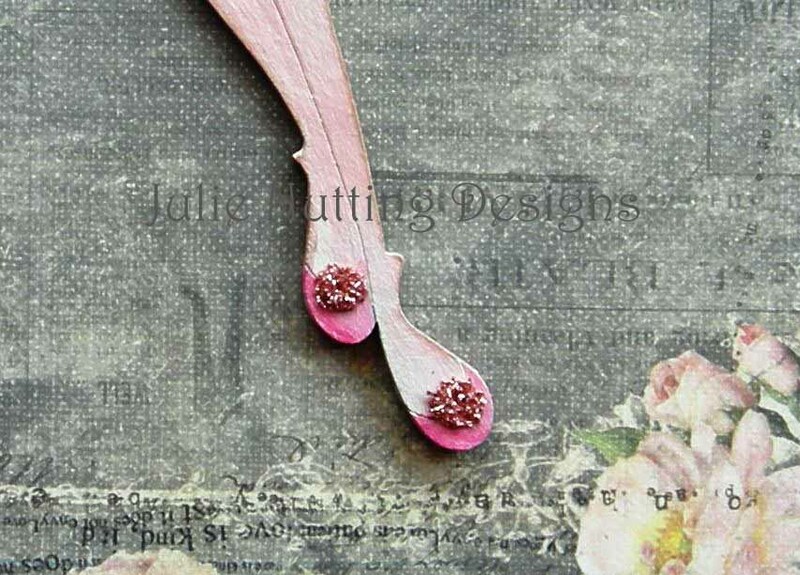 Yep, you can glitter them too! 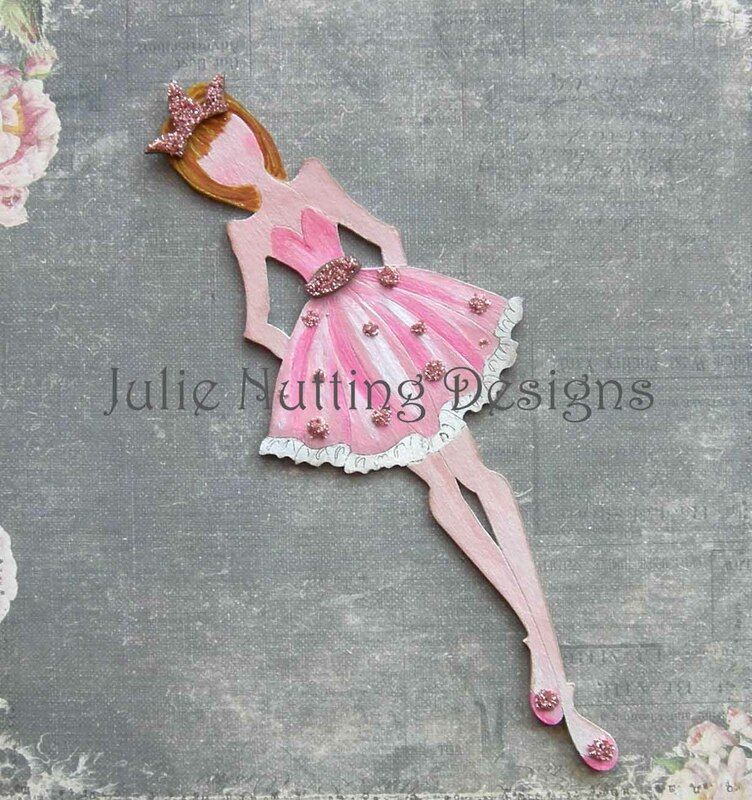 Gessoed and painted with Claudine Hellmuth products, this little princess needed some sparkle! Got out the German glass glitter and voila! Pretty in pink, sparkley princess! And those shoes...aren't they adorable? Chipboard couture girls are available at Leaky Shed Studios. Got my Leaky Shed order yesterday and wish I'd gotten the 8 inch rather than the 4 inch. Thought they would be bigger! They are beautiful though, great quality. Can't wait to doll them all up, thanks for the examples! wow. . .really cool art. . thanks a lot for showing it to me..keep it up .. love it. .
Just commented on a mutual facebook page we are both on and realized who you are...I adore your work and have seen you at Glitterfest...Get well soon! Wow, you are very talented Julie. I have seen some work of yours on Facebook and I just love it all. You do collage really well.